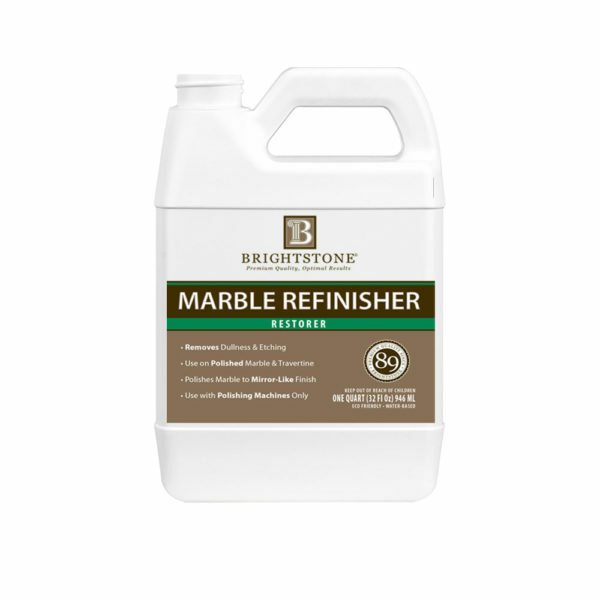 Marble Refinisher is a water-based mixture of polishing chemicals and microabrasive powders in a cream form. It is used to remove etching, dullness, watermarks, and restores the polish of polished marble, limestone and travertine. Recommended For: Polished Marble, Limestone and Travertine.